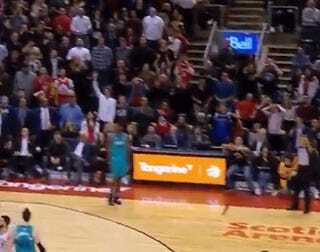 Jeremy Lamb’s half-court buzzer-beater against the Raptors in Sunday’s 115-114 win was a thing of beauty. 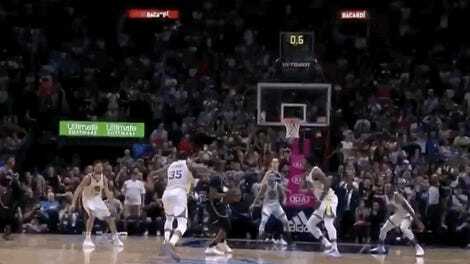 After losing the ball in the closing seconds, the Hornets guard had to toss up an off-balance shot from behind half-court, and it somehow went in, keeping Charlotte in the playoff race and creating an instant highlight. 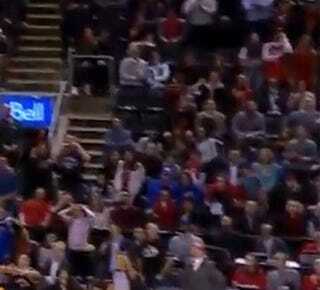 As incredible as the shot was, my favorite part of the whole play was the Raptors’ fans reactions. Like everyone else, they figured the game was over—and then suddenly they were clutching their heads in shock all at once. It ruled! Check out this guy in the white. He’s actually high-fiving another person while the shot is in the air. And why not? There’s no way Lamb’s heave was going in. Whoops! 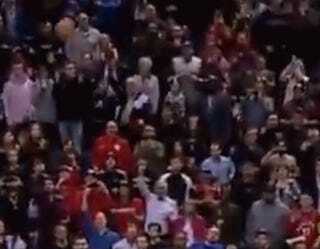 Pay attention to this woman, who’s clapping as the shot goes up and even goes through the net, before she realizes the horror of what’s just happened. This guy must have a bruise from slapping his head so hard. 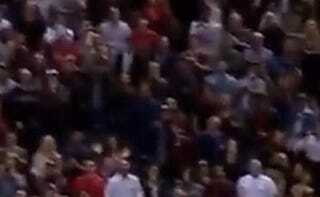 Meanwhile, this woman was in the surrender cobra position basically from when the shot was released. How did she know it was going in? 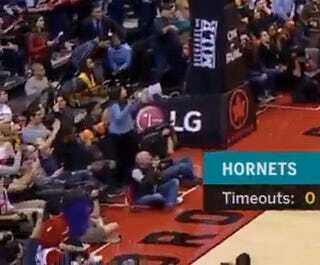 Even the Raptors’ mascot got into the act. 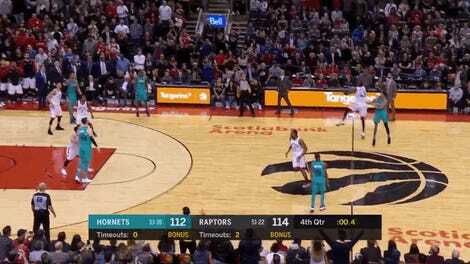 Here’s the buzzer-beater in slow motion so you can watch it again and again. Treasure this dumb miracle and what it did to Toronto.